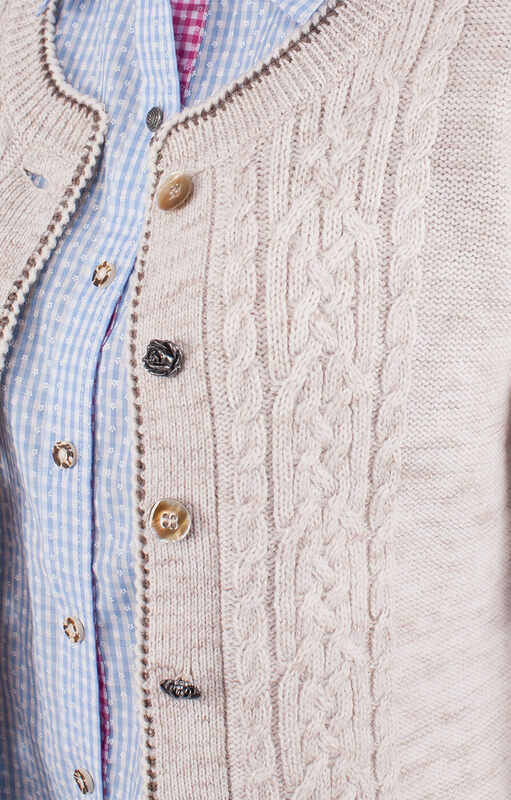 A traditional cardigan in natural colours. 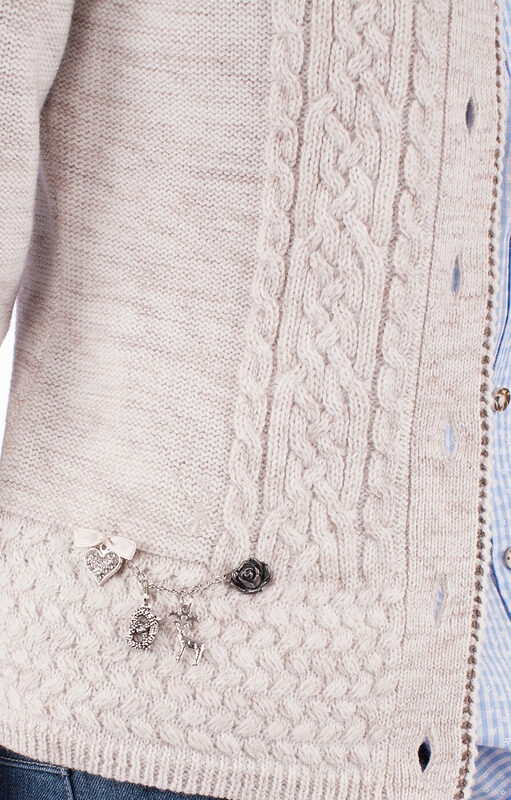 A stone-coloured cardigan made from seventy-percent Merino wool and thirty-percent polyester. 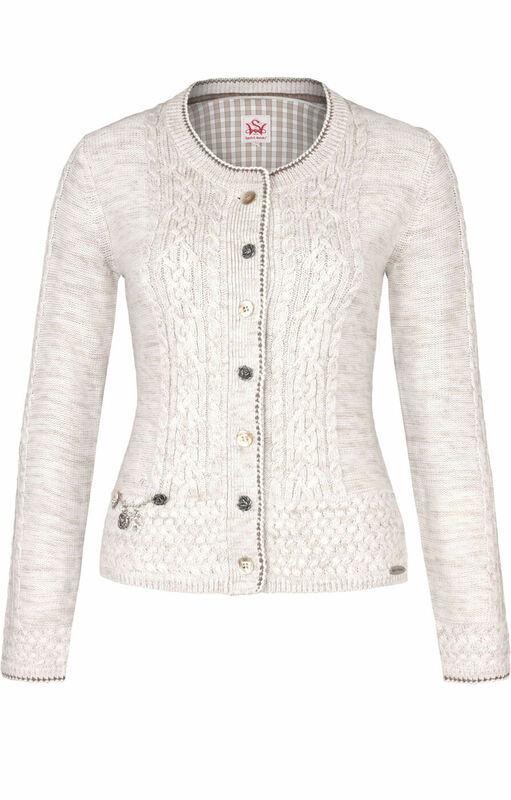 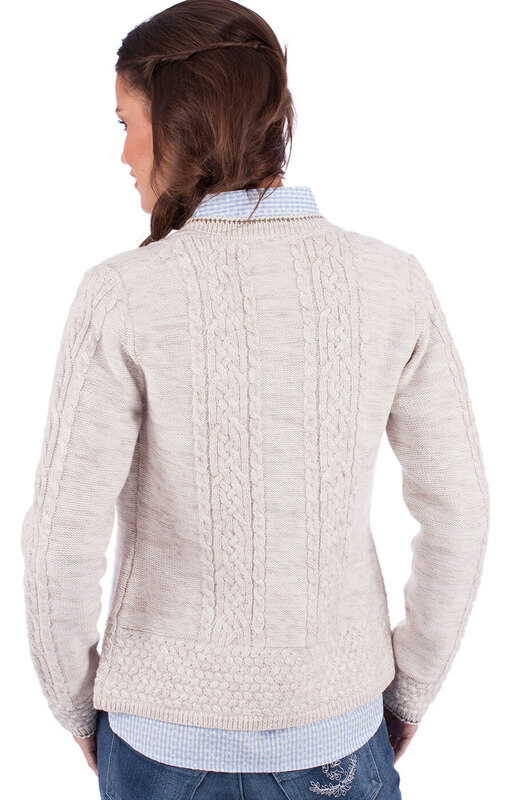 This versatile garment features attractive cable knitting, alternate buttons (horn and metal rose) and pretty charms on the front, representing the very best of elegant Trachten fashion.